The Gardens’ amazing rides will be available during the School and Easter holidays to make your day out more than Mega. Enjoy our Inflatable Zones, Venetian carousel, 25m ferris wheel, super speedy swing chair and giant slide. 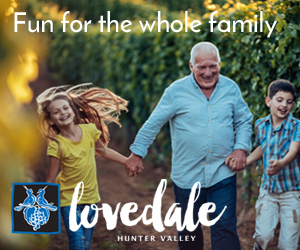 So hop to it and plan your fun-filled day at the Hunter Valley Gardens this Easter! Ride are an extra optional cost. The Garden train will not operate the 20th and 21st of April.